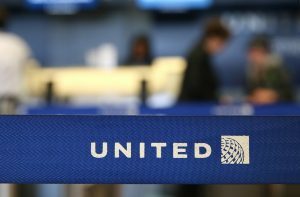 A computer glitch temporarily halted departures at United Airlines (NYSE:UAL) late Thursday, leaving thousands of passengers delayed worldwide. The widespread delays were caused by two separate problems with United Airlines’ computer systems. The first glitch affected United’s luggage weighing systems. Another issue also arose, but spokeswoman Maddie King said she did not know its nature nor its cause. The airline tweeted it was aware of the problem and was working to resolve it. United said the problem had been resolved as of 3 a.m. eastern time (0700 GMT) on Friday. The airline said only a small amount of flights were delayed. There is no evidence of a hack causing the system malfunction. United is the world’s third-biggest airline, after Delta and American. Passengers around the world expressed frustration at the delay. Passengers said they were forced to wait onboard planes or inside terminals for several hours as flights were delayed. Some passengers vented their anger by posting pictures and messages on social media using the hashtag #UnitedWeWait. Tweets sent during the outage showed mounting delays. It is the third computer glitch to hit United Continental Holdings in recent months. On June 2, 2015, software needed to dispatch United’s flight plan briefly lost functionality. In July 2015, the airline’s flights were disrupted by a computer problem that blocked access to reservations records, affecting roughly 3,500 flights. In July, United Continental Holdings said it had invested in backup plans. A series of problems have tested the world’s largest carriers’ reliance on technology. In September, Delta Air Lines canceled hundreds of flights and delayed many others after a power outage hit its computer systems. Delta blamed a power problem for the cancellations and denied that its system had been breached. That month also saw a system-wide computer problem at British Airways caused significant delays. Recent outages have prompted experts and passenger groups to question whether the airline industry has invested enough in technological infrastructure. Airlines are heavily dependent on their computer systems for almost every aspect of their operations. Reverting to manual operations can cause severe delays, which in turn lead to cancellations. The airlines have been earning vast new profits from baggage and cancellation fees, but little of those profits have been invested in upgrading their technology.